Mass timber construction is already an established and proven form of construction in Canada and Europe, and is gaining popularity across the United States. Mass timber projects have been on the rise in Colorado despite the height restrictions currently imposed by the 2015 IBC, and with the ongoing innovation and research surrounding the fire-resistiveness of mass timber that seeks to remove those height restrictions, there is tremendous growth potential in the mass timber market. We have built multiple mass timber projects across North America, including the Wood Innovation and Design Center, an eight-story office building that was the tallest mass timber structure in the world at project completion and showcases the potential for building mid- and high-rise structures using engineered mass timber products. 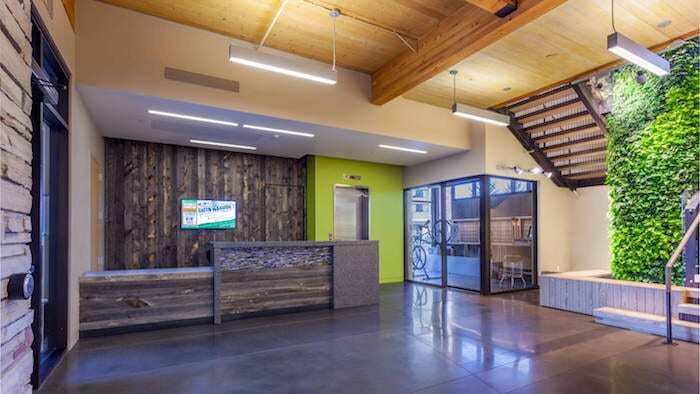 We built Colorado’s very first mass timber project utilizing cross-laminated timber panels, The Pavilion at Laurel Village on the Colorado State University campus, in 2014. Currently, we are providing preconstruction services for the new Pioneer Career Achievement Center at the University of Denver, a 25,000-square-foot, three-story mass timber structure that emphasizes the university’s commitment to sustainability. While there is a perception that mass timber is only available at a premium when compared to traditional concrete or steel structures, we believe this is a misconception created by the lack of common market knowledge on how to drive efficiency in design and maximize the opportunity to streamline the prefabrication and construction process. To fuel the increased level of interest in mass timber here in Colorado, we would like to share some lessons learned and construction best practices that should be integrated into early planning efforts on your next mass timber project. Structural grid layout. Layout of the structural grid is a significant cost driver of mass timber structures. The greater the bay spacing, the deeper the glulam beams and thicker the CLT panels must be to span those distances. Don’t use the structural grid that may have originally been designed for structural steel as the basis for mass timber pricing. Fire rating of floor assembly. Building occupancy and construction type (Type III-A vs. Type III-B) will dictate the fire rating of the floor assembly. Type III-A requires a one-hour floor assembly, which means all connection details must be concealed behind 2 inches of wood and a minimum five-ply CLT panel thickness. Type III-B, which doesn’t require the 1-hour floor assembly, allows for exposed connections and consideration of three-ply CLT panels. Any design flexibility to utilize Type III-B will offer significant cost savings on the mass timber structure. Repeatable design. Any opportunity to replicate CLT panel sizes, provide consistent column bays and use common connection details will decrease the cost of component prefabrication and structural erection. Taking advantage of the accelerated construction duration that mass timber offers will provide significant cost savings compared to any alternative structure. Prefabrication planning. Proper planning of the installation sequence defines the cross-laminated timber fabrication sequence and ensures just-in-time product delivery to the site. Without this upfront planning, a large laydown area will be required to stage and sort CLT panels prior to installation, extending the erection duration. Identify the tolerances that will to be maintained during CLT panel fabrication and erection and leverage the use of building information modeling to maximize the prefabrication opportunities for successor sub trades. Humidity control. Wood is sensitive to changes in levels of humidity over periods of time. This is especially critical in the dry climate of Colorado. Continually monitor humidity levels during construction, protect the wood from precipitation and snow, and be sure to specify an air barrier with a high drying capacity to allow the wood to continue releasing moisture even after the building is enclosed. Finishing. The wood finish can become stained during construction, either from precipitation or ‘rust bleed’ from exposed steel or metal connections. Be diligent about protecting the wood during transit and throughout construction, provide a protective coating or primer on all steel connections and apply protective sealers to all wood products. This is a brief highlight of the unique nuances to successful planning and execution of mass timber structure. As the mass timber market in Colorado continues to gain momentum in the coming years, leveraging lessons learned from past experiences early during design development will ensure that a cost-effective path to providing mass timber on your next project becomes a reality. 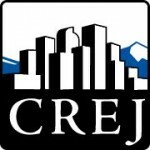 Published in the September issue of Development, Design & Construction in the Sept. 19 issue of CREJ.